Winner of the American Bridge Teachers' Association 2007 Book of the Year award in its original self-published edition, this book has an entirely new approach to teaching the game. It is intended to be a short first course on bridge for people who have never played the game before. No prior experience with any card game is necessary, and the ideas are developed in short, easy steps. "Gary has a refreshing, assume-no-knowledge approach that is sure to entice many new players to this wonderful game." 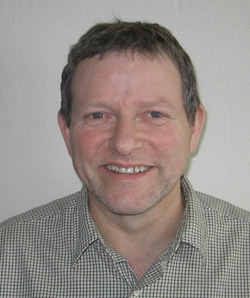 Andrew Robson, British international player and top-rated teacher. "Gary's new book makes learning bridge easy. He puts your mind at rest by telling you how to go about the learning, then he presents the material clearly." Paul Marston, Australia's top gun. "Teachers and students alike will scramble for Gary's book." Gary Brown is a Canadian who now lives in Melbourne, Australia, where he runs the Brown School of Bridge. A successful tournament player, he is also an experienced high school teacher, an ideal background for his current profession. A regular columnist for two bridge magazines, he is already working on his next book.